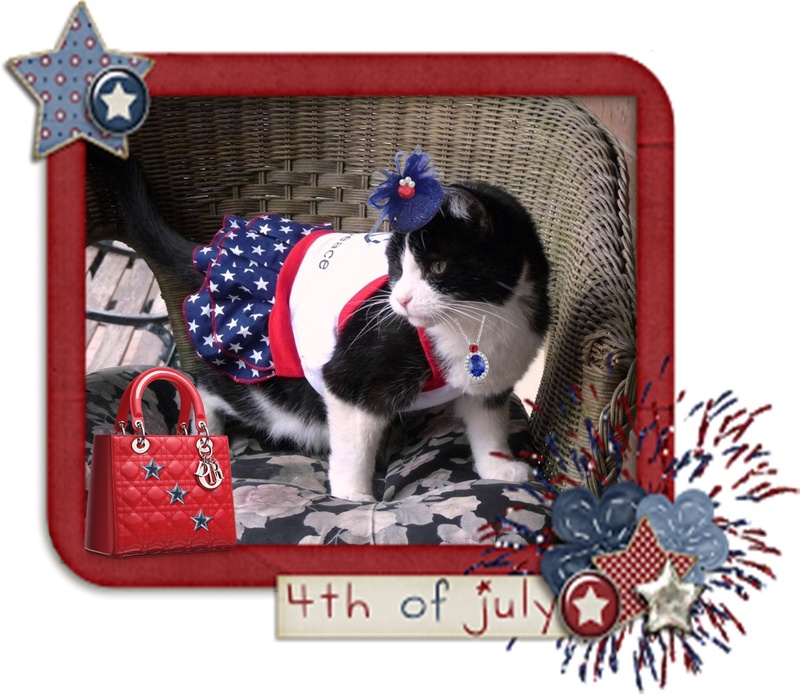 This is a picture from 2011, which we are recycling in honour of American Independence Day and, of course, Domino. She's wearing a red, white and blue dress with starry ruffled skirt, a blue fascinator with white pearls and red pom-pom, and a silver necklace with sapphire, white diamonds and a ruby. Her PURRse is a Dolce and Gabbana red padded number adorned with three blue metallic stars. Domino was always very independent-minded, so she's at one with you, today. I love the outfit and all the accessories, so patriotic.